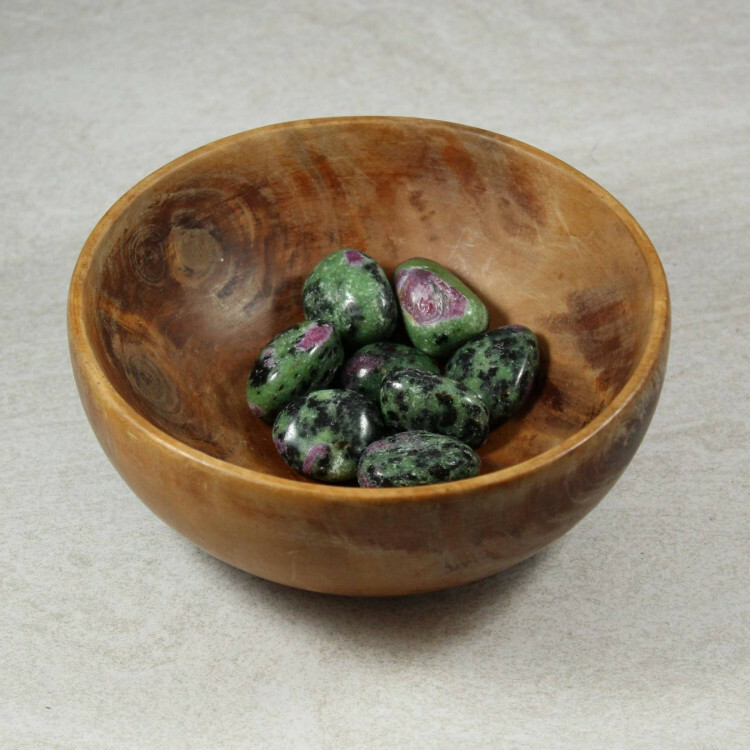 Gorgeous mixed tumbled Ruby in Zoisite pieces, measuring around 20-30MM approximately. Interesting Ruby in Zoisite tumblestones, measuring around 20-30MM along their longest point. These pieces are a decent quality of Ruby in Zoisite – a nice pink and red with a gorgeous green. We currently sell these as single stones only – but you’re welcome to buy more than one! These make a nice decorative stone with any contrasting stones because green contrasts against red quite nicely. Therefore, the stone already has a gorgeous contrast all its own – but they work nicely against black stones too. For more information about the stone, and a full list of products we offer, please see our main ‘Ruby’ page. I love this stone. Every time I look at it I see something new!